In the city of Teruel in the early 13th century, a young man called Diego de Marcilla loved Isabel de Segura as she did he, but her father said he was too poor and gave him five years to become rich. The day the five years were up Diego returned to Teruel,a rich man after many adventures and battles. But in his absence and apparent no return Isabel had married Pedro de Azagra. Upon hearing the news on his arrival, Diego looked for Isabel and when she refused him a kiss he literally fell heartbroken to the ground and died. His funeral took place the next day and as they transported him, a lady from the crowd approached the dead body lifted her veil to reveal that she was Isabel. She bent over Diego and kissed him and then fell dead on top of him.They were buried together and have been together ever since. 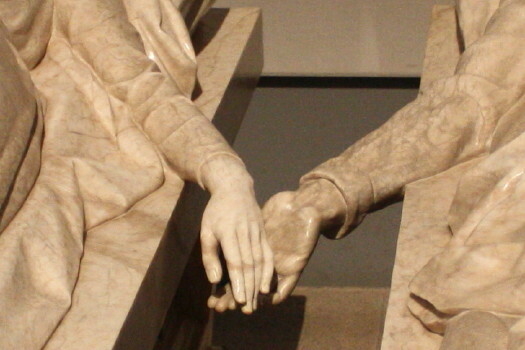 This romantic yet tragic story is one that is famous throughout Spain and the remains of “The Lovers of Teruel” have been maintained through the ages in the city and can be visited in their mausoleum. It is said but not proven that Shakespeare actually based his “Romeo and Juliet” on this story and gave it a fashionable Italian flavour. 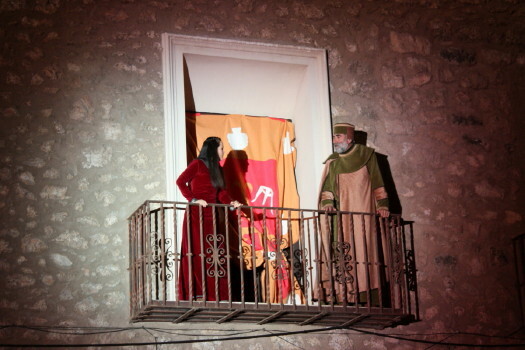 What is definitely true is that every year around 14th February Teruel celebrates this story with the fiesta “Las Bodas(The Weddings) de Isabel de Segura”. 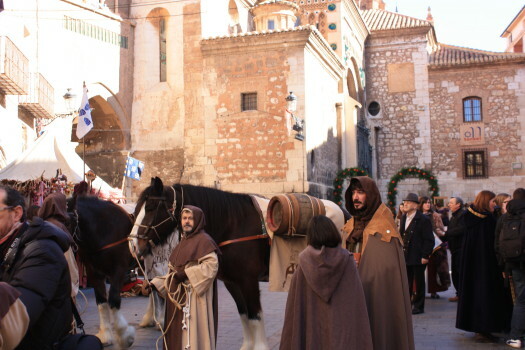 The whole town dresses up in medieval dress, a large medieval fair takes place and the story is re-enacted in the streets with medieval architecture as a backdrop. The atmosphere is one of festival and fun. The buzz of people enjoying themselves and the colourful spectacle are contagious. 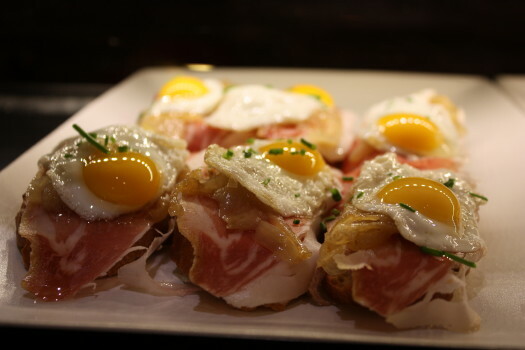 Add to this the amazing food on offer both in the streets and the bars of Teruel and you have the perfect combination. There is something about Teruel that is difficult to put one’s finger on but it is has more of a feeling of a town than a city,with its narrow pedestrian streets, small centre and familar feeling.Its history is fascinating and its people open and friendly. What I like about this Mudejar city is that it still maintains that “off the beaten track” feel which is pretty hard in this day and age.We went to Teruel on our honeymoon over thirty years ago so it has a special place in our hearts but all the above make it a special place for anyone to visit. 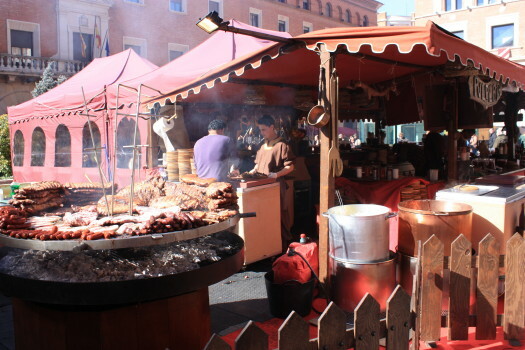 This entry was posted in Fiestas, teruel, travel and tagged Architecture, cultural holidays, Fiestas, Food, Food and wine tours Spain, history, Spain for foodies, spanish culture, tapas, Teruel, tradition by Paddy Waller. Bookmark the permalink. Very interesting, I’d never heard this story before! These two love-birds give Romeo and Juliet a run for their money. Definitely has a Romeo & Juliet ring to it!